Rent a private jet and fly directly to Tortola, the capital island of the BVI and largest of the three British Virgin Islands in the Caribbean. 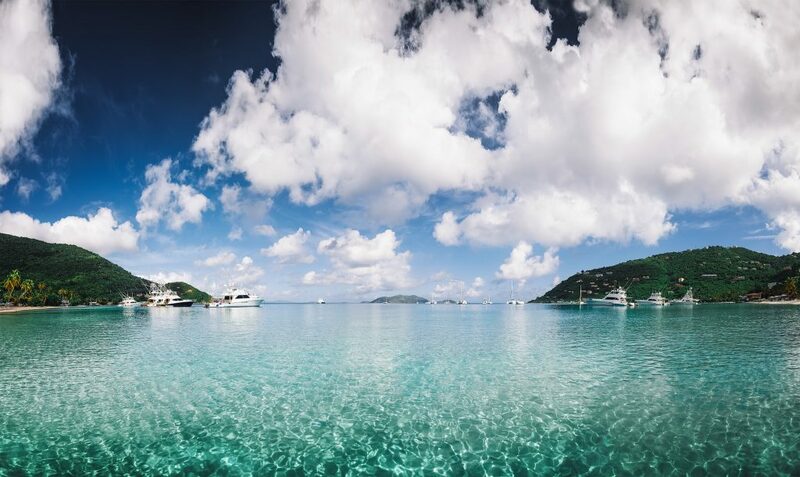 Flying is the best way to get to Tortola, but commercial air travel requires you stop at a Caribbean gateway airport — San Juan (SJU), St. Thomas (STT), Antigua (ANU) or St. Maarten (SXM) — and connect to another flight to continue to the island. And of course, this still includes baggage checks, security lines, conflicting schedules and other issues associated with flying commercial. Chartering a private flight allows you to fly directly to (TUPJ, EIS) Terrence B. Lettsome Airport, also known as Beef Island Airport, located on the eastern side of Tortola. Enjoy all-inclusive, efficient, and transparent air charter service when you arrange your private flight to Tortola with Air Charter Advisors. Safety is our number one priority, and we go the extra nautical mile when reviewing aircraft and crew options for your trip. Our charter brokers are one of a select number of Wyvern-certified brokers in the world, and we utilize their safety and auditing systems to check operator history, aircraft maintenance and pilot experience for every flight we arrange. Enjoy the peace of mind you get from working with a jet charter broker you can trust, and let Air Charter Advisors become your local and global aviation solution for luxury air travel, aircraft acquisition and private jet management. Gourmet catering, luxury ground transportation, private helicopter lifts, luxury yacht charters, in-flight Wi-Fi, attentive cabin crew and plush interiors: we can arrange all of this and more upon your request. Give us a call or request a quote now to book your luxury private flight to Tortola | Beef Island, British Virgin Islands. Commercial airlines typically require a stop at a Caribbean gateway airport before heading to Tortola. Instead, fly private directly to/from (TUPJ, EIS) Terrence B. Lettsome Airport, an airport located on the eastern portion of Tortola; the area, along with the airport, is also know as Beef Island. Our team can also arrange additional flights from Tortola–Beef Island Airport if you’re interested in visiting multiple islands during your trip. Due to the runway length, most mid-size and larger jets can not utilize TUPJ airport. Many light jets and virtually any piston or turbo-prop aircraft can be accommodated. The following private aircraft are certified for private flights, and operated by FAR Part 135 or 121 (or foreign equivalent) air carriers. We can provide a range of options based on the goals for your trip, from cost-effective flights to save time and avoid hassles, to connecting you to the most luxurious jet to complement your lavish Caribbean getaway. Check out our Aircraft Gallery for more details; if you don’t see your preferred plane listed, speak to one of our brokers to see if it is available. 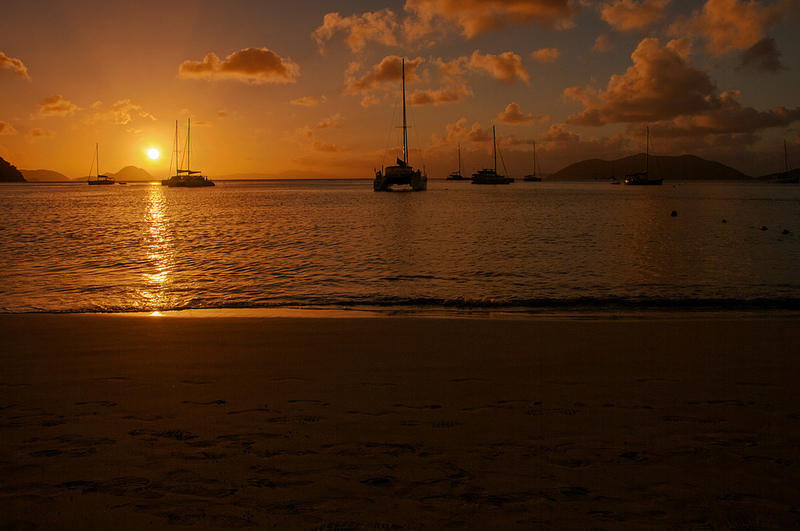 Charter a private jet to Tortola | Beef Island in the British Virgin Islands. ACA offers on-demand availability to a variety of Wyvern-certified private jets and turbo-props, complete with the latest safety audits, veteran flight crews, and competitive hourly rates. Due to the cultural influence the British have on the island, politeness and decorum is highly regarded, such as beginning any conversation with a “Good morning,” or the applicable time of day. English is universally spoken throughout the British Virgin Islands, although natives tend to have a thicker, more distinctive West Indian accent. United States citizens flying private to Tortola must present a passport or other WHTI-compliant documentation to enter or depart from the United States. For Canadian citizens, a passport is preferred, however visitors may also use an original birth certificate accompanied by a valid photo ID such as a driver’s license. European citizens traveling to the Tortola need a valid passport to enter the BVI, although residents of some countries may also require a visa in order to enter. Click here for a list of countries that require a visa to enter the BVI. The British Virgin Islands have customs and immigration offices located on Tortola in Road Town and the West End; on Virgin Gorda in the Virgin Gorda Airport, St. Thomas Bay Terminal, and the Owen Harrigan Visitors Centre at Gun Creek; and on Jost Van Dyke in Great Harbour. There’s not too much to see after you take an obligatory tour of the island, although the original architecture contains some interesting shops, cafes and an art gallery or two, and Main Street is not be missed. Visitors often some of the island’s interesting historical ruins, including the “Dungeon” and the “African Church”, although they might not be as impressive as ruins found in Saint Kitts and Puerto Rico. 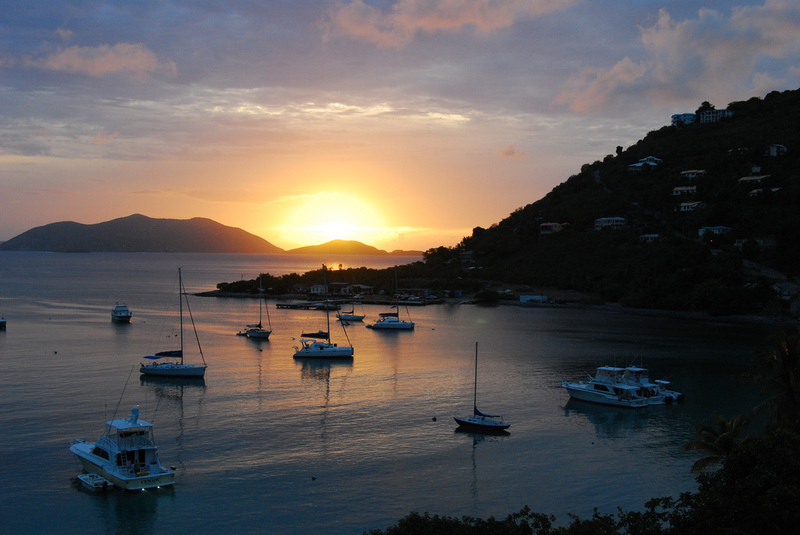 Check out some more attractions & activities found on Tortola and Beef Island. Private jet travelers who enjoy the outdoors can get in lots of hiking along the tallest mountain in both the US and British Virgin Islands, complete with rainforests near the peak. Enjoy the chance to swim alongside dolphins and get an up close encounter with your favorite friendly marine mammal. This historic Rum manufacturer in Cane Garden Bay is a great place to visit and a lot of fun — in moderation, of course. Beautiful Gardens offering a great representation of the variety of vegetation found on the island. Take a boat trip to Salt Island, where to this day, the Queen of England still gets her annual bag of salt from every year from the Governor as payment for rent. You can head for the salt ponds on the southern part of the island, where you’ll find a natural salt pond so big it takes more than an hour to walk around it. If you’re chartering a yacht, make sure to stop by Sandy Cay along the way, home to one of the most spectacular sandy beaches in the BVI; it’s sparsely crowded on an average day, and there’s a path around the island if you want to explore the local flora and fauna. Although insects on the beach can be an issue during some seasons, the slightest breeze takes care of that problem. On the northeastern end of the Jost Van Dyke near Diamond Cay is a tide-driven “Bubbly Pool”; dramatic rocky blowhole that has formed a natural whirlpool that attracts tourists when its swells are running–in the winter months, the tides get become fierce and give quite a ride, while during the summer it offers quiet relaxation. JVD is internationally known for its famous Foxy’s Old Year’s Night (New Year’s Eve) party in Great Harbour at Foxy’s Taboo. From Long Bay – Beef Island in Eastern Tortola all the way to Long Bay – West End, there’s no shortage of spectacular, white-sand beaches lining the north shore. Many of these beaches deepen gradually and have light surf, allowing for leisurely swimming. On the other hand, some have a heavier surf and undertow, so it’s always good to ask someone or observe swimmers before diving in. It’s important to note that the BVI does not have sophisticated sewage systems, and it’s advised to visit beaches in less populated areas. This surf and party destination doesn’t offer much in the way of swimming. Instead, you’ll find the “Bomba Shack,” a popular party site for Tortola’s full moon parties, where streets flood with native and visiting party-goers, and hallucinogenic mushrooms (legal to possess and use in the BVI) are readily available. If you’re interested in surfing, Apple Bay and Josiah’s Bay are the two best spots. Apple Bay has several good restaurants here too, including Coco Plum, Sebastian’s, the aforementioned Bomba’s, and fine dining at Sugar Mill — stop by on a Friday for fish frys under the two huge banyan trees. It’s the only non-white sand beach on the island, where instead the sand is a dark gold. It’s an excellent choice for good snorkeling right off the beach, reasonably warm water, and some peace and quiet. The most popular and touristy beach available on the island, Cane Garden Bay is “ground zero” for cruise ships visiting Tortola. The beaches fill up quickly when the ships are in port, when beach chairs become a premium. Other boats like to moor across this 3/4 stretch of beach as it feature five restaurants, one bar, two vendors and it’s the only beach with a supermarket nearby. Not to be confused with its easterly brother Long Bay – Beef Island, this Long Bay beach is located on Tortola’s western end. The beach is easily accessible, quite large, and offers good swimming and a moderate surf. There are several restaurants and bars, however, they typically are set back from the beach. Another good-sized beach with heavy surf and a strong undertow, making it a popular beach with visiting and native surfers alike. There are two bar/restaurants at Josiah’s Bay, although neither offer fine dining but are instead casual beach bars. Difficult to access but well worth the effort, Smuggler’s Cove is located at the extreme western end of Tortola. Accessible by narrow and bumpy dirt roads, this small oasis is mostly used by expatriate workers who reside in Tortola. if you’re interested in spending an afternoon at Smuggler’s Cove, try to make it there early. Road Town is the capital city of the BVI and the business center for most “Belongers”—as islanders refer to themselves—but tourists usually find the hot, diesel-fueled streets of the capital unappealing. Most visitors take the road north or west to enjoy a a quieter, gentler Tortola, one with spacious beaches, more than a dozen marinas, and the 1,710-foot Mount Sage towering over it all. It’s also where you’ll find the island’s best luxury hotels and resorts. If you’re looking for the best Tortola has to offer, you’ll be interested in renting an entire island — that’s right, starting at a cool $10k/per day, you can enjoy the VIP treatment and vacation on your own private island. Richard Branson of Virgin fame owns Necker Island, and Little Thatch island offer an array of private luxury villas for rent. Includes: boating trips, nightlife excursions to other islands, and all the Veuve Clicquot you can drink. Tortola is world famous for its outstanding sailing conditions, and the island is at the epicenter of the Caribbean yachting community. 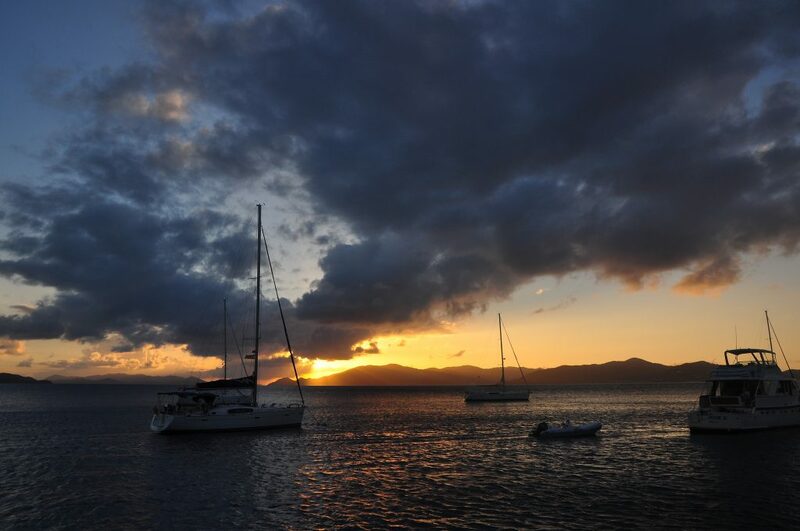 Favorable trade winds and near perfect weather have made one of the most popular sailing destinations in the world. Year after year, thousands of travelers head to Tortola and set sail across the Virgin Islands. 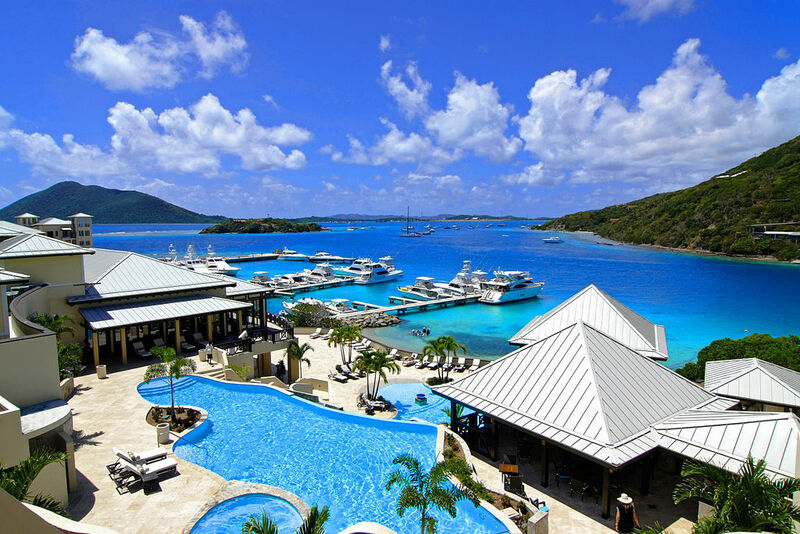 In fact, many people visit Tortola spend their entire vacation on a luxury yacht, often sailing to neighboring islands in search of uninhabited islands and secluded beaches, while others are just looking to snorkel and scuba. Anegada is an island located about 55 kilometers north of Tortola, and a popular destination for it’s beautiful coral reefs. There are usually plenty of moorings available in the larger bays at night. Air Charter Advisors utilizes the following airport to arrange private jet charter service to/from Tortola | Beef Island for luxury vacations, honeymoons, weddings and other special events. Flying private to Terrance B. Lettsome International Airport (IATA: EIS, ICAO: TUPJ), previously known as Beef Island Airport, and arrive in Tortola instead of juggling commercial flights. Charter flights are the fastest, most comfortable and most secure way to reach the island, and our team can also arrange additional flights from Tortola–Beef Island Airport if you’re interested in visiting multiple islands during your trip. There are four FBOs available at the airport, but it’s important to note that due to the runway length, larger jets can not utilize this airport, although we it can accommodate some id-size jets such as a Falcon 50. Plans to extend the runway to 7,100 feet are underway as of December 2016. 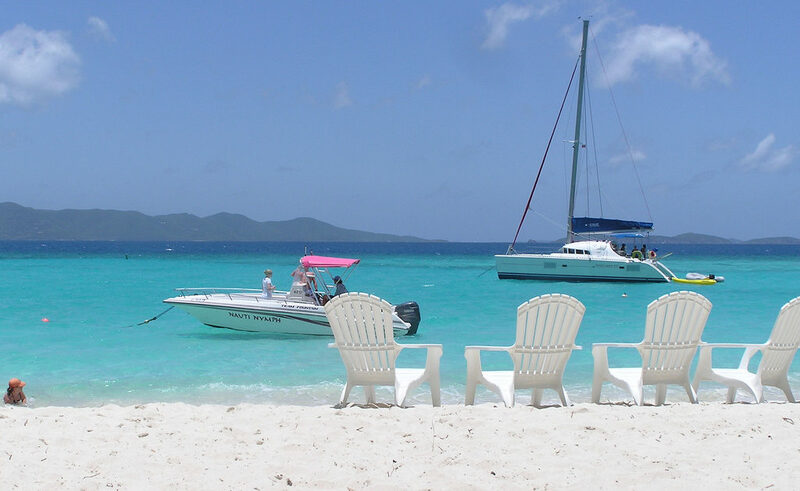 Plan your stress-free Caribbean flight with Air Charter Advisors and enjoy your adventure in the US Virgin Islands. Request a Quote or give us a call at 1-888-987-5387 to speak with one of our Tortola | Beef Island Private Air Charter brokers and review all of the options for your private flight.